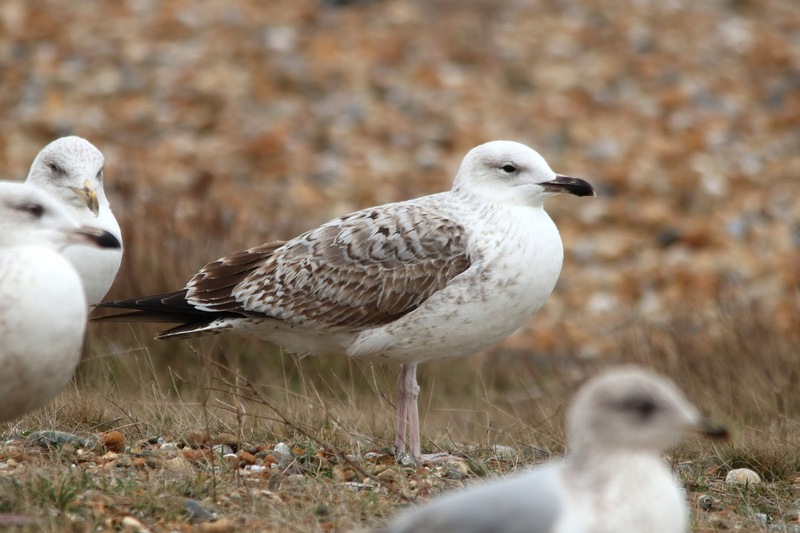 The two Iceland Gulls and two Mediterranean Gulls were seen at the Patch in the morning and the semi-regular Caspian Gull was joined by a new first-winter bird this afternoon. A hint of some spring migration on the land was noted this morning with 30 Chaffinches and five Siskins being seen. A new individual at the fishing boats. A Porpoise was feeding offshore and a tidy up of the ringing hut produced a hibernating Peacock butterfly, two Wood Mice and the micro-moth Mompha epilobiella.